This is a simple prawn dish that goes well rice. Photo and recipe courtesy of Chef Christina Arokiasamy. 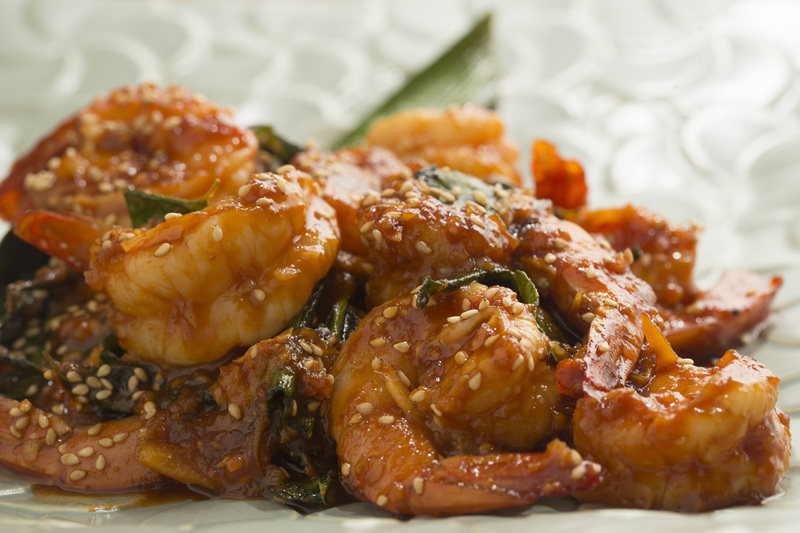 Make the sauce by combining chilli sauce, tomato sauce, soy sauce, sesame oil and keep aside. Add in the chilli sauce mixture into the wok and mix well. Allow the sauce to simmer for 1 to 2 minutes. Put in tiger prawns into the wok, and stir-fry on high heat, pressing the prawns against the hot wok. Pour in the chicken broth, mix well and cook for 2 minutes over high heat. Thanks for the recipe. The photo shown here has some greens in it and I don’t see any being mentioned in the ingredients. Are they scallions and/or curry leaves? I would like to try out the recipe.